Should you judge a book by its cover? Usually, if not often. Particularly when it comes to wine. A wine bottle with a an exceedingly silly label probably indicates something about the juice contained therein. After all, if the marketers are doing their job, a goofy wine label is appealing to a customer who is in search of a goofy wine. I don't know about you, but when selecting bottles I rarely include "goofy" among the characteristics I am looking for. In fact, I tend to like wines whose character and structure are anything but. The LA Weekly blog recently posted a list of the top ten worst wine labels they have come across of late. 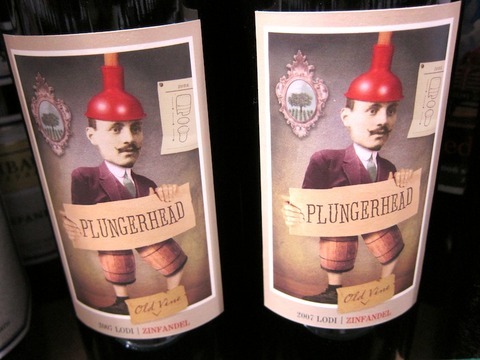 Though they only judged the labels, not the corresponding wines, what do you think Plungerhead may taste like? What aromatic notes and flavor profiles does this label evoke? I feel the need to test some of these to see if my theory really holds (stay tuned for that blog post), but if the below image doesn't entice you to click through and see the rest I don't know what would. Don't miss the one for "Pinot Evil." Dan and I have been looking for a new apartment which has mired me in nostalgia for our current one. But not so much for what's inside it. It's what is outside that I am really going to miss. For some time Dan and I have lived in a one bedroom which is too small for all his triathlon gear and way too small for my kitchen gear (and wish list kitchen gear), but we have endured the cramped quarters inside for the spacious quarters outside. Over the years we have collected a group of trees and bushes who of course we named and now feel like part of the family. And in addition to planting flowers each spring, we grow herbs we really enjoy using when we cook. There is just something so satisfying about going outside and cutting some rosemary when you need it. And of course there is the memory of all the gatherings we have had out there. Our burger showdown, our blind wine tasting, and many many other get togethers with friends and family that centered around what was coming off the grill. Even dinners we have hosted in the winter usually involved me slipping on a coat over my apron to fire up some some steaks or maybe a leg of lamb. Just thinking about losing this space, which is probably my favorite little plot of land in the city, makes me sad. I even proposed to Dan last night that we could stay in our place and when we have a baby we can add a second floor in part of the apartment in order to have a nursery-- 6 1/2 feet of height downstairs for Dan, 2 upstairs for little Dan Malkovich. Who knows, maybe we'll find a place with some outdoor space and our outside friends can all come with us. But even if we don't, I'll always have the memory of the sounds of happy guests laughing as they eat and drink and enjoy what we have always called our urban sanctuary. I wanted so much not to laugh at this but couldn't help it. Enjoy! 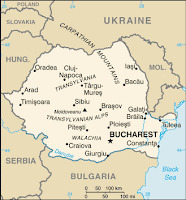 As those who read this blog regularly know, Dan is Romanian. Over the years I have tried to acquaint myself with what this means from a cultural perspective. While I am still working on acquiring a taste for much of the cuisine, I have long been a fan of their sayings. 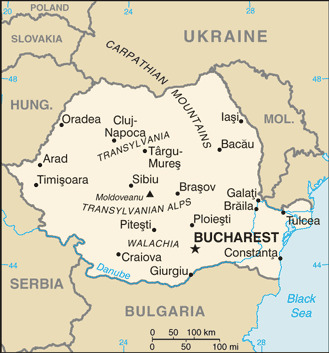 In fact, if a nation could export sayings for profit, Romania would be oil-country rich. My personal favorite adage: "A camel is a horse designed by committee." Perhaps a good one to keep in mind as we work through our health care situation. And when it comes to food, Romanians have so many proverbs it is a wonder they have not taken to scrawling them on tiny pieces of paper to place inside of cookies. The one which possibly best describes their culinary philosophy is, "the best vegetable is the chicken meat and the best chicken meat is the pork." Another which helps paint a picture of what you might expect to find on a Romanian menu: "We eat everything with four legs that's not a table, and everything with two wings that's not an airplane." But what is food without wine? This saying couldn't have been put better by Bacchus himself: "Every man is entitled to a glass of wine, after that glass of wine he becomes another man, who is entitled to a glass of wine." Supposedly first stated by a professor to explain the concept of summing an infinite series, I must say I may have gotten better grades in math had my math teachers been Romanian. Romanians also have some practical advice on drinking such as, "If two people say you're drunk, go to bed." Many other of their sayings reflect their history like, "Better an egg today than a hen tomorrow," and still others betray their openness in calling out the intellectually unfortunate. I personally like, "Don't argue with a fool, he has a rested mind." Many of my conversations with Dan's dad are punctuated by these entertaining Romanian isms but the one he has held back from me for years is perhaps the most universally relevant, "Love is blind, marriage is the cure." Last time in Kitchen Tool Corner I featured a very useful, but expensive, kitchen item. Today we are going to the other end of the spectrum with a must-have wallet friendly gadget, a spider. Sometimes referred to as a skimmer, a spider should have a relatively long handle (preferably stay-cool but not required), be stainless steel, and have a head that it makes it easy to retrieve stuff out of a pot and drain quickly. Mine was a $6 or so find in Chinatown but even at a fancy retail store a spider should never run you more than $20. So what does one use this for? So so so many things. A spider is incredibly handy if you want to safely deep fry anything. Use the basket to lower your object of fryfection into the hot oil and use it again to retrieve it once it is done, no dangerous splashing! A spider is also perfect for blanching. Blanching is a great technique for cooking vegetables to help them maintain their color and consistency or to partially cook them ahead of time. Basically, you lower your veggies into boiling water for a minute or two and then immediately dunk them in an ice bath to stop the cooking. Guess how you get your veggies from the boiling water into the shock tank? Bare hands, spoons, and spatulas won't cut it. Spider to the rescue. Another use for a spider is lowering homemade ravioli into boiling water and fishing them out when done. After carefully making a filling, rolling dough, and forming your little dumplings, the last thing you want to do is plunk those suckers into the water and watch them break on contact. Use a spider and your ravioli will be safe... and delicious.